Look at me! I'm upside down! 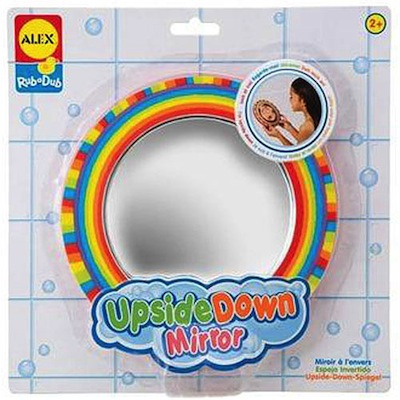 Wacky funhouse style concave mirror with bright rainbow graphics makes bath time silly. Sticks to tub and tile wall when wet.